When you decide to move to Barcelona with children, the question of selection of the right school comes first. Even the location of your new home will depend on the school’s location. There are many guides about schools that you can find in Internet. Here is one of the Practical Schools Guide in Barcelona. We offer you the most important information about the international schools in Barcelona and its suburbs. You can enroll in the school or university yourself but usually it is very difficult to make the right choice. You will spend a lot of time for the study of all the options. Fortunately, we have a solution for each client. You can order the service of Personal Assistant with experience in the sphere of educational services which will understand your needs, help to choose, select the most appropriate establishment, go with you to the interview, organize the enrolment and solve all the questions related with it. Finally, your aim of enrolling to the necessary school or university will be achieved as soon as possible. “We contacted this company in order to find a school for our child. We only have a good impression of the job done by the company. During all the time, from the selection of the school until the admission Marina answered to all our questions, helped a lot in the organization of the meetings, phone negotiations, so that we got a great help in all the questions connected with the papers and documents. We are so grateful for your job, for your help! We recommend your company to everybody! Thanks a lot! Best regards, Liudmila”. 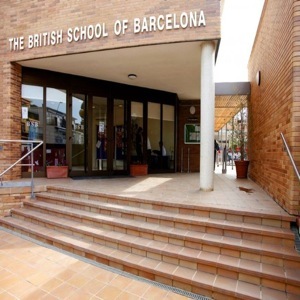 THE BRITISH SCHOOL OF BARCELONA was initially opened by Mr. Pedro de Verda in 1958 as The Anglo-American School. Today it offers British education for children of different nationalities between 3 and 18 years old. 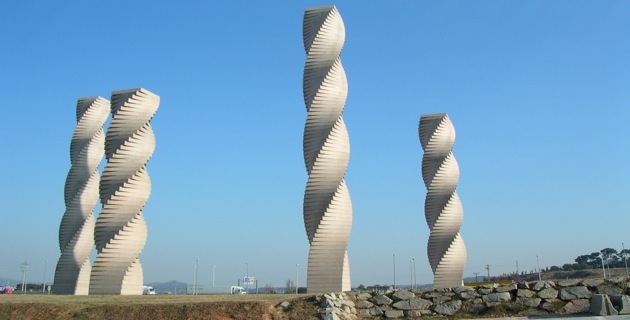 The school is located in a quiet town on the sea coast, 20 km south from Barcelona. The main curriculum is in English with complementary lessons given in Spanish/Catalan. The education system meets the requirements of the international GCSE system, which gives access to the entry exams in the University оf Cambridge and University оf London. All the teaching staff has been qualified in England. The new school complex was opened in September 1999. It includes a lot of spacious rooms, a library, three laboratories, as well as rooms of art and music, an audio-visual hall, a sports hall and a gym. There is also a big garden with playgrounds and tennis clubs around. During the school year students take part in various events, as, for example, spending a week in the mountains, going on an excursion or going camping. KENSINGTON SCHOOL was founded by Edward Pole Giles in 1966. Over 230 students of different nationalities between 4 and 18 years old go to school on a daily basis. Special attention is paid to preparation for the GCSE examinations, which enable students to enter any of the Higher Education Institutions of the USA and England. The teaching staff has been qualified in England, except the Spanish and French teachers. The main curriculum is in English, while Spanish is given from the age of 7 years old and French – from 9. There are special language courses for those children who don’t speak English. This allows them to integrate faster and easier into the English-speaking environment. Children can also study a fourth foreign language at their option, as, for example, German, Japanese, etc. The school is located in a new big complex, which was opened by the Queen of England Elisabeth II in 1988. 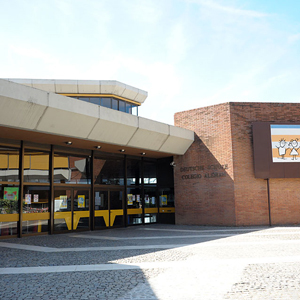 The school facilities include a theatre, a library, a dining room, an art room, a sports hall, computer and video rooms, a cafe. Comfortable buses bring children to school and collect them after school. The school gives individual attention to each student, as children of different nationalities and cultures study here. OAK HOUSE SCHOOL is committed to the individual monitoring of each pupil. Regular direct contact with the parents is maintained by an excellent team of tutors as well as the Psychopedagogy Department. Pupils with academic difficulties, learning disabilities or those who are academically-gifted receive specialized individual attention. Children receive an entirely British education at Oak House Primary School. Sport is one of the fundamental pillars of the school. As for the languages, the pupils take the Cambridge First Certificate, Advanced and Proficiency examinations in English as part of their studies. 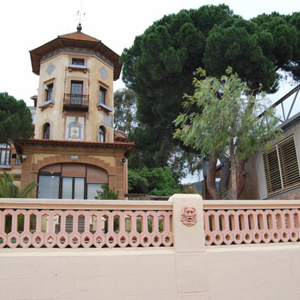 OLIVE TREE SCHOOL is situated in Sitges and meets high academic standards. Classes of art, music and sport are very important in the programme of this school. The teaching is in English but some subjects are taught in Spanish and Catalan. The maximum number of children in class is 14 because, according to the british academic standards, the best results are achieved this way. 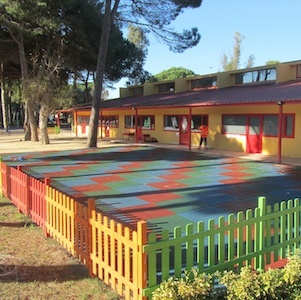 ST GEORGE’S SCHOOL opened it’s doors in September 2015 in the residencial area of La Bonanova, Sarrià Sant Gervasi district. The school is set in two buildings and is following the British National Curriculum from 2 years old. Classrooms are appropriately arranged according to the ages of the children. The school has specialist classrooms such as: an ICT suite, music room, library, gymnasium and dining room. The school’s facilities offer a stimulating and creative environment which along with the skilled and personalised teaching, will ensure that every child loves learning and will achieve their maximum potential. Curriculum in English. “Integrated curriculum” approach with appreciation of IB philosophy. Classes of Spanish and Catalan. THE BRITISH COLLEGE GAVÀ is part of an emerging network of British Schools which is being established one by one in cities around Spain including Barcelona, Bilbao, Madrid and Málaga. The network is coordinated based on the philosophy and management skills of the group’s founders. It offers a comprehensive and personalized education. It encourages students to take a genuine interest in their studies, to make the most of their skills and to develop a strong sense of personal motivation, thus preparing them to continue learning throughout his life in a world that is rapidly evolving. Apart from languages, all subjects are taught in English by experienced and highly qualified native speakers. 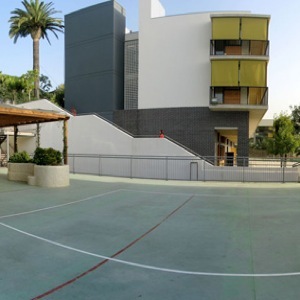 HIGHLANDS SCHOOL BARCELONA was founded in year 2000. It was born with the idea of offering an innovative, a vanguard and distinctive catholic school with a high level of English within the cosmopolitan city of Barcelona. Nowadays, it is an international school which offers high-quality education to catholic students of different nationalities from 1 year to 18 years old, with the recognition of Cambridge University. Cambridge programme and qualifications are recognized and valued by universities and employers around the world. Collaborating with them helps this school deliver the best education possible by providing comprehensive support, including teacher training, classroom resources and membership of a global learning community. The main teaching language is English, followed by Spanish and Catalan. The school also offers the students the possibility of choosing other languages such as French or German. There is a wide range of extracurricular activities ranging from music to many other sports lessons as well as technology related activities. 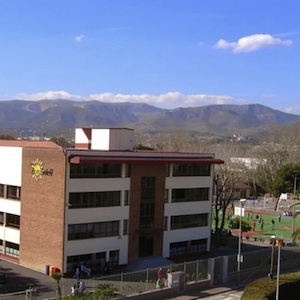 The school is located in the international schools´ area of Esplugues de Llobregat (on the Barcelona surroundings), very well connected to the motorway. In its 19,000m2 plot, there are various buildings and open spaces for the different stages. The school has a kitchen and a dining room where all meals are freshly prepared and served. It is a school that provides personalized guidance to help the students strive in every area and that promotes many activities to encourage a family-like community. 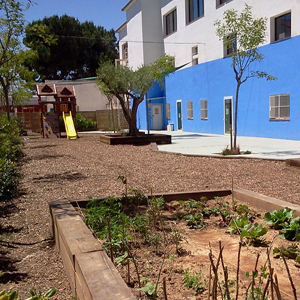 BENJAMIN FRANKLIN INTERNATIONAL SCHOOL was founded in 1986 in Barcelona. Children of different nationalities are studying here. There are approximately 30% Americans, 35% Spanish and 35% from other countries. The school’s succes is based on wide experience of the teaching staff and the efficiency of the methods used. All the teachers speak English as all the main subjects are given in English. The school’s curriculum is based on the American methodology and is combined with the Spanish programme, which allows to get access to the entry exams both in the American and the Spanish Higher Education Institutions. There is an individual language programme for those children who don’t have the appropriate level of English. The school premises include two renovated blocks. There is a tennis court, sports areas for junior and senior classes, a library, a computer room, a cafe, a dining room, a recital room, laboratories of chemistry, physics and biology. The children are served lunch and snacks on daily basis. The school bus brings children to school and collects them after school. The school programme includes various activities, as, for example, sports competitions, music, chore, theatre and maths competitions. Besides, every year the school organizes a new talents festival, trips to foreign countries, excursions and hiking. The school day starts at 8:50 and finishes at 16:15. There are 7 lessons a day. The academic year starts on 4 September and finishes on 21 June. There is a special activities programme for the period of the summer holidays. 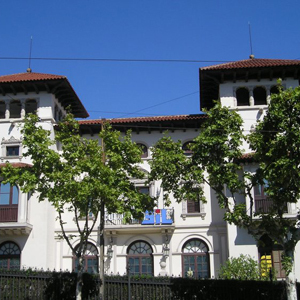 AMERICAN SCHOOL OF BARCELONA is on the list of ten best schools of Barcelona. It was founded in 1963. Children of different nationalities are studying here. Although English is the main language, much significance is also attached to Spanish. As a result, the children speak fluently both languages when finishing the school. The majority of teachers come from English-speaking countries. The school’s curriculum has been developed basing on combination of the American and the Spanish curriculums. Having passed final examinations the students get the American Diploma. There is also an option for them to get the Spanish Bachelor’s degree having passed some complementary exams. There is a bigger number of teachers in relation to the number of pupils. However, the distinguishing characteristic of this school is that the children can choose subjects depending on their preferences and future professions, as, for example, art, music, maths, etc. These subjects are taught once a week by those teachers who are real professionals in this sector. It is worth while mentioning that sport is considered one of the most important disciplines, as it allows children to develop strength, self-confidence and intuition, necessary for each person to achieve future success. This approach taken into account served as a ground for developing a special sports programme, which includes a variety of activities and individual attention to each pupil. 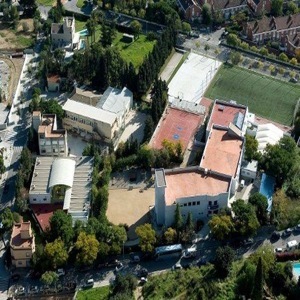 St. PAUL’S SCHOOL is a private college located in Pedralbes, which is one of the most pretigious districts of Barcelona. The college was founded in 1968 by ST. PAUL’s Foundation. The school attaches much significance to foregin languages learning. The English language level achieved by the students throughout their school time is confirmed by the Cambridge Certificate which allows them to enter any English-speaking Higher Education Institutions. The national curriculum is in English. Spanish, Catalan and French are obligatory here as well. The teaching staff consists of English-speaking highly-qualified professionals. The admissions start at the beginning of the year for the children between 3 and 18 years old. The classes are formed in small groups of students from different countries. Each student is given an individual tutor. SIL with its current features, location and as an independent entity, was founded in 1978, being accredited as Higher Education Centre on the 14th of November of that year. Since then and up until now, this centre has given education at all levels, from nursery to high school, both included, with dedication and a strong educational sense, with the goal of improving its approach by introducing the teaching of english since 1978, and developing the sports training with special programs. At the same time, this education is reinforced through the music, the chorals, theatre, the Guidance Centre. From LOGSE regulation, this centre has dedicated all possible means to adapt its facilities in all aspects. Their educational system is focused on monitoring our students daily attitude, taking advantage of the faculty´s experience and the tutors´ management, without time limitation. 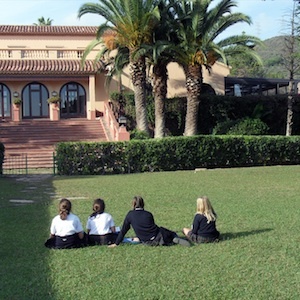 St. PETER’S SCHOOL is a private school situated in the most luxurious zone of Barcelona – Pedralbes. It was founded in 1964 and it continues its activity with a lot of success. The educational program is approved by Generalitat de Catalunya. After finishing the school, the students get the Spanish certificate and the certificate Pre-U from Cambridge that corresponds to the international senior secondary education and helps to enter the international universities. In St. Peter´s the linguistic adaptation is very well developped and the knowledge of English and Spanish is not obligatory for entering the school. The extra-curricular activities in the school are held basically from 17 to 18 from Monday to Thursday: swimming, futbol, judo, music, art, the Chinese language, dances and others. 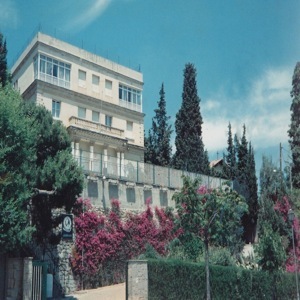 HAMELIN-LAIE INTERNATIONAL SCHOOL – is a private international school situated in the suburbs of Barcelona in Alella (Costa Maresme). It was opened in 1989 and it plans to expand its territory in 2015. The additional foreign languages taught are French and Chinese. The extra-curriculum classes are sport, music and dancing. There is an official dance school where the pupils become professional dancers. The school organizes trips abroad, summer camps and excursions for improving the knowledge of the languages annually. 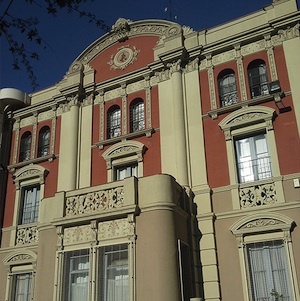 SEK-CATALUNYA is a private international school founded in 1892 in Madrid. Nowadays it has 9 filials in 4 countries: Spain, France, Ireland, Qatar where the children of 59 nationalities study. It offers some additional foreign languages: French or German. Moreover, it has an adaptation system of international students who don´t speek Spanish yet and have only the basic knowledge. 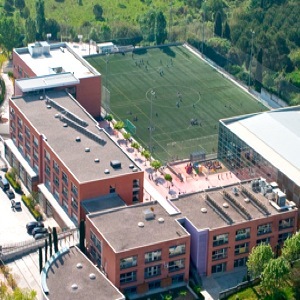 EUROPA INTERNATIONAL SCHOOL is a private school founded in 1996 by a group of professionals in the sphere of education from the family Herranz-Frías in the prestigious city next to Barcelona – Sant Cugat. There are pupils of 30 nationalities in this school (Belgium, Russia, Mexico, England, Argentina, France and others). There are 6 languages taught: English, Spanish, Catalan, French (from 8 years old), German and Chinese (from 12 years old). This international school is the only educational centre in Spain that prepares its pupils to the exams for getting the certificate of Cambridge University IGCSE which is obligatory for entering the Univesities of England, the United States and Europe. Every year the pupils participate in the exchange program between different schools of Europe, connected with the sport (ISSA-International School Sports Association), politics (Model United Nations y el Global Young Leaders Conference) and maths (Math Quest Tournament). 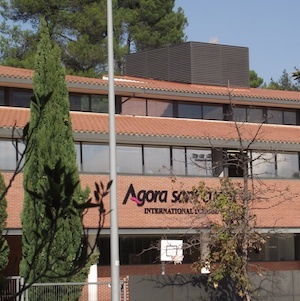 AGORA SANT CUGAT INTERNATIONAL SCHOOL is a private school founded in 1989 in Sant Cugat. The children learn English, Spanish, Catalan and Chinese; they can also select French or German. Every year the pupils participate in the exchange program between different European schools (Norway, France, Germany, etc.). In the school Agora the musicians from the theatre “Liceu” work who teach the children to play the violin and other instruments. They even have the opportunity to pass the exam in “Liceu”. Agora accepts with a lot of pleasure the students from Russia, Ucraine, America, England, Denmark, Germany, etc. 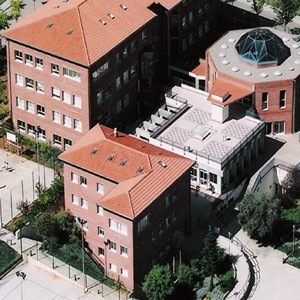 DSB (DEUTSCHE SCHULE BARCELONA) is a private school founded in 1894. Currently it has 1400 pupils. The children have different nationalities and cultures. The program helps them to adapt easily. The majority of the teachers are German and the basuc subjects are taught in German which is the main language of the school. After finishing the school the pupils are fully prepared not only to the entry exam to the Spanish Universities but also the equivalents of the German exams. The school has a stadium, futbol camp, computer classes, gym and a cafe. A lot of excursions and trips to different countries are organized. Barcelona combines a variety of ethnic cultures and lifestyles. Due to its hospitality this cosmopolitan city has become a popular destination for a great number of foreign students from all over the world, as the higher education here means accessibility, quality and prestige. Barcelona offers a great variety of higher education institutions, both public and private. 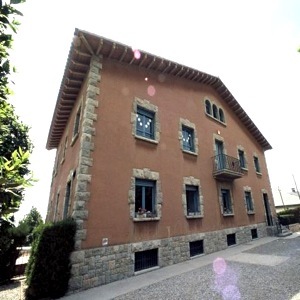 is one of the first universities in Catalonia. It was founded in 1450 with the biggest number of students and the most varied education offer at the time. 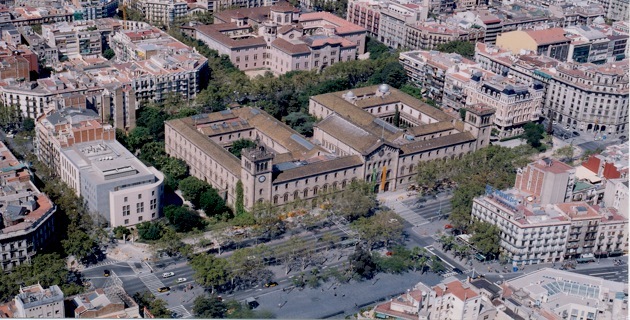 Moreover, the University of Barcelona is the main investigation centre both in Spain and in Europe. The University includes a wide chain of training centres which include 18 faculties, collegiate schools and other kinds of training centres which provide a firm ground for scientific, technical and professional knowledge. Approximately 65 % of curriculum is given in Catalan, that is why there are extramural Catalan language courses, which help foreign students feel more confident throughout their university time. Moreover, here you can also find other foreign language courses, including Spanish. It is a modern cosmopolitan university, like Barcelona city itself! is one of the most prestigious universities in Spain. It was founded in 1968. Today, this university has the highest rating results among other Spanish public higher institutions. Over 40 thousands students are studying their Bachelor’s degree here and over 11 thousand – their Master’s and PhD. Moreover, it is one of the most multinational universities, as the university is focused on attracting more foreign students and creating special education programmes for them. There is a university village designed for 1790 students which includes sports and leisure areas. It is located 25 minutes away from the academic building. Each room has got a separate bathroom and a kitchen. 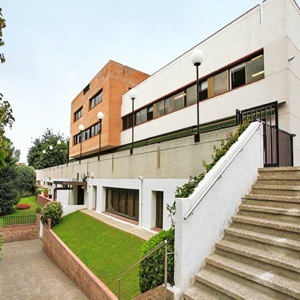 There is also a language school UAB Idiomas, offering Spanish language courses for adults. (its full Spanish name – Escuela Superior de Administración y Dirección de Empresas or English – Higher School of Business Management and Administration) is a top research, one of the best business schools and training centre located in Barcelona, Madrid and Buenos Aires. 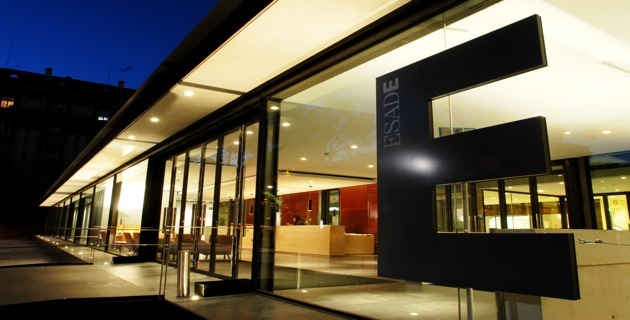 In general ESADE consists of three following departments: ESADE business school, ESADE law school and executive language training. The ESADE’s methodology is based on the development of professional and administrative skills. Acording to a number of surveys held by such widely-known media as The Wall Street Journal (2006/2007 ) and Financial Times (2012), the ESADE business school was twice the best business school in the world. Choose the best for your business – choose ESADE! As soon as you have provided yourself with the place to live, the next important step is to choose a really good school for your children. The “Kakdoma” team has selected the most important information you need to know about the education system in Catalonia. Kakdoma Barcelona will also advise you on the most appropriate school and help you with the enrolment process. Spain has lately become one of the most popular centers of education in Europe due to the high quality of education and a wide selection of institutions, both public and private. Besides, the Spanish education system provides two foreign languages for children starting from a small age. It also lets students decide on their own about their future profession and guarantees high-quality international education. 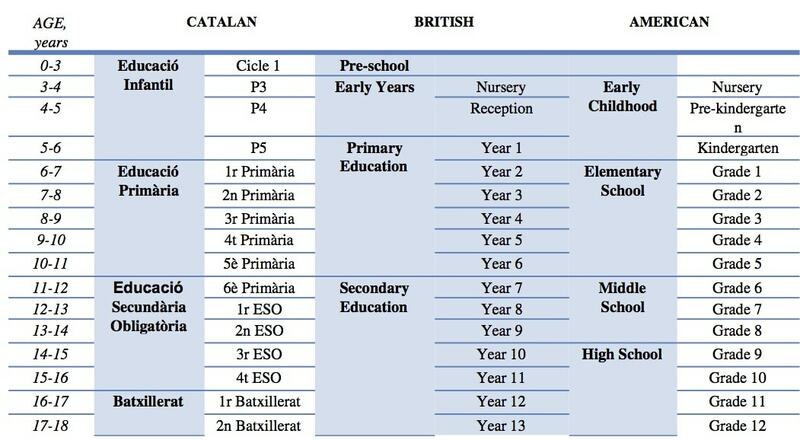 In this section we will tell you about Catalonia’s education system so that you could learn about its special characteristics to be able to choose the right school for your children. Free public schools, which is absolutely free of charge and it is completely financed by the government. State-funded schools is a privately-run school that receives some government funding. Tuition is also free, though there may be voluntary fees and expenses for extracurricular activities. Private schools is privately financed. Moreover, depending on the age the education system may be compulsory or non-compulsory. First cycle (0-3 years old): centers which provide pre-primary or nursery education are not free of charge. There are public centres (whose cost is partially financed by the Administration) and private centres. This education cycle is not compulsory. However, the education for the children of this age is of great importance as it provides those key education elements which are necessary for their further personal development. Second cycle (3-6 years old): the tuition is free of charge both in public and state -funded kindergartens, except those which are privately financed. Both in Barcelona and its surrounding areas you can find multilingual nurseries and day care centres. Obligatory primary education consists of 3 cycles (primary, secondary and higher) for the children between 6 and 12 years old. Obligatory Secondary Education (ESO) consists of 4 courses and is dedicated to the students between 12 and 16 years old. At this stage starting from the third course the student can choose between various programmes which are aimed at ESO (GESO) Diploma. This Diploma provides access to the next education stage of so-called “post-obligatory” secondary education (Educació secundària postobligatòria). Primary professional training programmes are for the students over 16 years old, who haven’t got GESO Diploma. These programmes include three types of education modules: professional knowledge (Module А), general education (Module В), GESO diploma (voluntary Module С). Bachelor’s degree consists of 2 courses and provides access to higher education (16-18 years old). The company “Kakdoma Barcelona” offers you a selection of the best private schools with different educational systems: Catalan, Spanish, American, British, French and others. Schools. The most popular international education systems in Spain are the British and American systems, but also exist the French, German, Italian, Japanese and Swiss systems. Please, see below different education systems compared with the Russian system. International General Certificate of Secondary Education (IGCSE) is a British programme of the University of cambridge recognized in theb whole world. It is taught to the school students of the age 14-15. After finishing this programme the students can leave the school and start to work or continue the education. They pass exams for IGCSE after finishing the Secondary Education (16 years), they consist of a big amount of subjects (humanitarian and technological). These exams are obligatory but IGCSE is not enought for entering the University and the students pass to the next level of preparation where there are two alternative two-years programmes: A-level и IB. A-level is a British academic programme. Certificate of General Education Advanced Level (A-level) is a certificate of the Secondary Education of the advanced level. The studies last 2 years and involves the enhanced studying of two, three or four subjects (depending on the speciality). A-level has the reputation of a strong academic programme. The student can choose the list of subjects he concentrates his attention on and studies them deeper. Every 6 months the practice exams are held and the students has the right to pass them again in the next round. The requests for the entry exams are sent to the universities of Great Britain and other countries. The A-level education is strict and exigent. It is a faultless choice for people who know exactly what they want to study and in which sphere they want to be specialized. The International Baccalaureate Diploma Programme (IB) is an international non-governmental organization that has a consultative status in UNESCO and the Council of Europe. This programme was developped in Swiss and is used by a lot of schools of many countries, including Great Britain, Ireland and others. This two-years programme is aimed at young people of 16-19 years old. They are offered 6 subjects of the natural sciences and humanitarian subjects (3 or 4 of them are taught at the advanced level. The students have the opportunity to change “the environment” without any damage for their educational process because all the schools with IB have the same curriculum. This programme´s graduated students can enter a lot of prestigious univiersities of the worls without any additional exams. IB standards are known in all the countries and the graduated students continue studying in the universities of Great Britain, US, Canada, Swiss, Australia and other countries.